As Permian Basin production has grown, so too has the demand for fresh water, transport, and disposal of waste water. Bloomberg recently reported that the average Permian well pumps 7 barrels of dirty water for 1 bbl of oil and put the service cost of water disposal at about $1.50 to $2.50/bbl, driving operators to look for cost savings and improved efficiency in the water management side of their business. H2O Midstream’s acquisition in June of produced-water infrastructure from Encana Oil & Gas (USA) in the Permian resulted in the takeover of Encana’s existing produced-water gathering system that comprises more than 100 miles of interconnected pipeline and five SWDs wells with a total permitted disposal capacity of 80,000 BWPD. 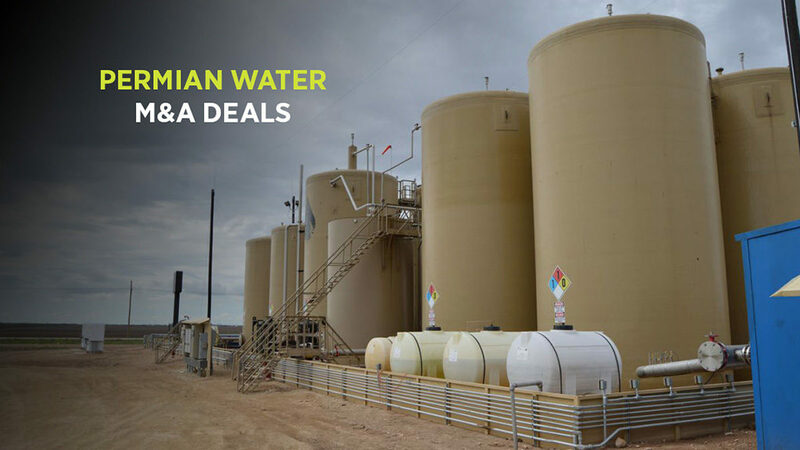 WaterBridge Resources acquired EnWater Solutions, a produced water gathering and disposal company in the southern Delaware Basin, in August. WaterBridge plans to expand the existing gathering business into a full-cycle, closed-loop water infrastructure system to offer regional producers integrated water supply and management solutions. Located in Reeves and Pecos counties in Texas, EnWater’s current assets include five SWD wells with more than 100 miles of interconnected gathering pipeline and nearly 150,000 b/d of permitted disposal capacity. By year-end 2018, WaterBridge expects to reach more than 300,000 b/d of total disposal capacity and 200 total miles of interconnected pipeline for gathering. Goodnight Midstream, a fluids management company, announced in June multiple acquisitions and the addition of personnel to support the company’s on-going expansion in the Permian. Following the transactions, the company controls produced water gathering and disposal from 10 facilities in seven counties across the basin. Goodnight acquired the produced water gathering and disposal business of Black Mountain Disposal in Glasscock and Reagan counties, as well as four water disposal facilities formerly operated by MTN Energy located in Andrews, Ector, Gaines, and Loving counties. Rockwater Energy Solutions and Crescent Companies agreed in March to combine the two companies to provide water sourcing, transportation, treatment and storage capabilities, remote monitoring and control, water treatment, flowback and well testing services, fluid logistics, and production and fracturing chemical technologies.